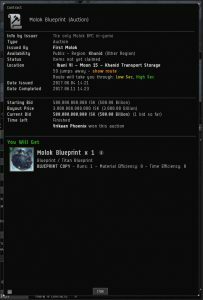 Today the first Molok Titan blueprint sold in the Khanid region for the base asking price of 500 billion isk, bringing an end to market speculation about the item’s real worth. The blueprint sold to the Capsuleer Vrikaan Phoenix, an active PVP pilot out of Adversity in Pandemic Legion. The amount mentioned was the minimum bid for the contract, while the outright buyout price was listed at a whopping 3000 billion. There was speculation the the bidding would only really start within the last few hours of the contracts availability. There were complaints accompanied by forum posts saying the mechanic for bidding on the contract was not working properly. Potential bidders reported the contract window was not updating the proper time left on the contract and the seller, known as /u/ccpwtf on Reddit corroborated this with this statement and screenshot. “That is not the snipe rule in play. Here is the screenshot 10 minutes before the end of the auction. As you can see, the time shown for me, in my contract window is correct, however, the actual contract (the one that other people see) is incorrect. It should’ve also shown ‘Less than an hour’ remaining. 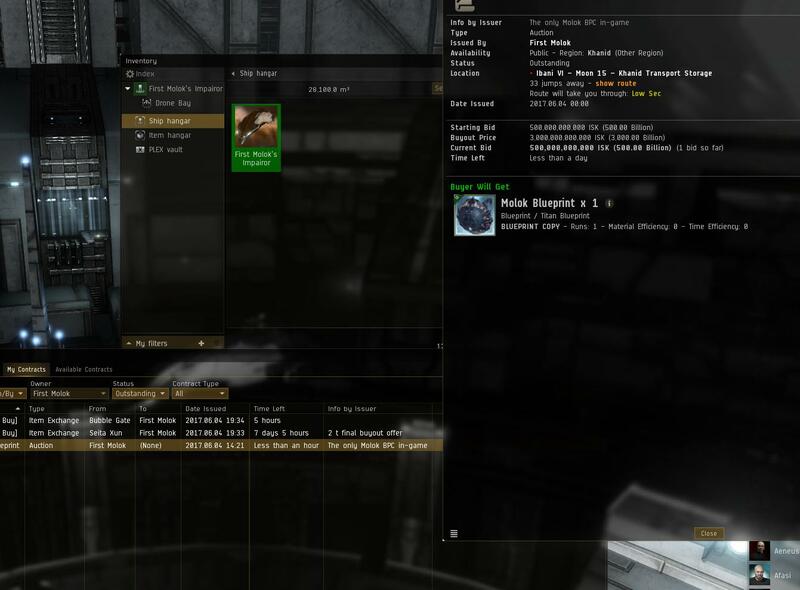 The reward item and the mechanic itself have come under a lot of fire as the Blood Raider Sotiyo promotes a free-for-all and doesn’t allow for the advanced PVE mixed with PVP that CCP promoted with the release. The site is easily completed by a mass of signature-radius tanking frigates, and the loot container is easily destroyed or scoopable by any pilot in any sized ship. 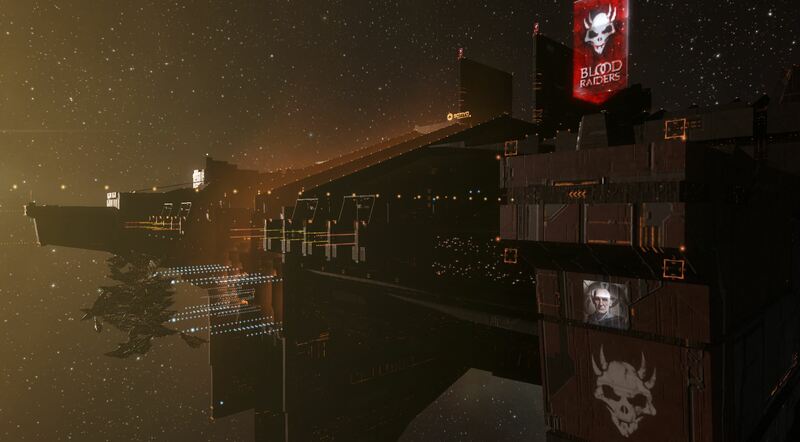 CCP has released details into the test server of a fix for the loot drop in the form of a high-volume container that will need to be scooped by a hauler, but details on it implementation of the loot mechanic fix have yet to be released. At the behest of The Mittani, Goons have boycotted the running of the Blood Raider Sotiyo until the mechanic is corrected, vowing only to disrupt the operations of others attempting to complete the site. This is significant as the structure spawns in their home space or that of their allies. EN24 has reached out to both parties involved for comment and will update this article with new information as it becomes available. It remains up to the discretion of the reader to decide the actual worth of the item in question. In your opinion, did the item sell for it’s base price because its not worth more, or if the contract hadn’t bugged out would it have sold for more? Let us know in the comments! Folks today really needs to be even more a lot more certified to celebrate the benefits of your problems, to implement present day methods for contraceptive, to store all of our all-natural solutions additionally recycle for money all of our products and solutions and answers. We抮e also guaranteed we抣l have obtained a enhanced in addition tidier web-site when you want it. Having read this I believed it was rather informative. I appreciate you finding the time and effort to put this short article together. I once again find myself personally spending a lot of time both reading and posting comments. But so what, it was still worthwhile! I’m finding them for my sister. I’m searching for one of the most dishes with pictures and also the ages of child for the dishes. Blogs are usually where I would anticipate to discover them. Thanks for sharing the info. I located the info very helpful. That抯 a awesome post you posted. I will come back to read some more. Immigration Lawyers? […]the time to read or visit the content or sites we have linked to below the[…]?